We start strong this week with an age-old question. Sara Gordon looks into the factors that you need to consider when looking to recruit people in the creative industry. Richard Stubbs: "Your reputation is the conversation that happens when you’re not there"
Richard Stubbs tells TJ that when it comes to reputation it's not about control, it's about influence. Agata Nowakowska gives TJ some practical steps to turn managers into coaches. Professor Bernd Vogel and Obiageli Heidelberger-Nkenke make some bold recommendations based on recent research. Communication is a key skill for L&D but I fear we don’t give it enough attention, says Donald Taylor. 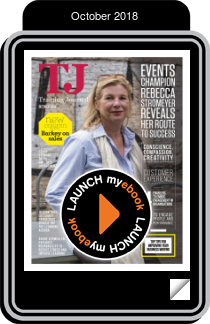 Rebecca Stromeyer tells TJ about her L&D inspiration and the remarkable development of the events she runs. Webinar host Jo Cook chats to MD of Ember Real Results, Carolyn Blunt, about the importance of customer experience. Gustaf Nordback: "The number one executive priority is cybersecurity"
FTIECLA Project SHORT 1-LN VERSION from Colin Steed on Vimeo. Alex Rivas gives TJ advice on appealing to the fastest growing generation in the workforce. Chris Lewis and Pippa Malmgren take modern leadership to task. Your staff need to understand your products and services, say CR Worldwide. The key to engaged staff? Surveys, says Asimina Stamatiou. #TJwow Imparta webinar teaser: Richard Barkey on sales skills from Training Journal on Vimeo. Imparta's Richard Barkey gives #TJwow webinar host Jo Cook an insight into the upcoming discussion on Tuesday 2 October. For Lars Hyland, the future of the LMS is open.